I’ve always been so interested in human behaviour since my sociology and communications studies at uni, and perhaps even before then as a school kid who thought it so oddly fascinating the year seemed to naturally split into identity defined groups – The Goths, The Homies, The Sporty girls, The Nerds, The Popular Group, The Asians, The Group Without a Name. I somehow drifted between them all through the year without ever fully committing to one. Now, working in PR and communications, and especially stakeholder engagement, I get to experience human behaviour and relationships in the complexity of adulthood. The thing I love most about life are the people. And so, I’ve decided to go back to school to learn more about human behaviour. I’m currently completing my Graduate Diploma in Counselling at Western Sydney University as a part time course over the next two years and loving it. Just over a month in and we’ve looked at the evolution of psychotherapy and counselling as a profession, temperament, Attachment Theory, and therapy in practice. 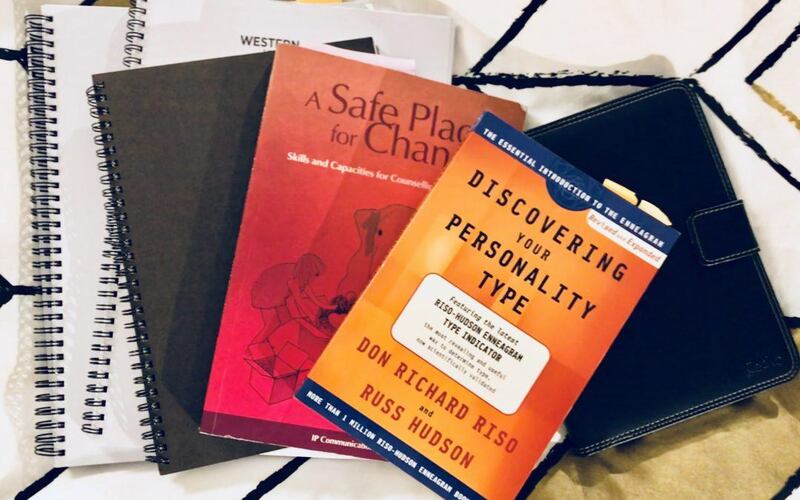 If you like personality type tests, have a look at the Enneagram Type to see what your dominant type is and where you drift in times of security and anxiety, which is detailed in this book. We were told to complete the questions as we were in our mid-20s to offset any ‘work we’ve done on ourselves’, which tends to start late 20s/30s. I’d recommend doing the test a few times on different days to get the most accurate result. You also need to be brutally honest with yourself, which can also be easier to do on the second and third go! We’ve spent a lot of time practising a style of ‘active listening’, known as ‘holding’ in therapy, and noticing our own behaviour when listening to others. If you’ve not done this before, it’s an useful self-reflective exercise that can help you become a more attentive listener and thus, a better communicator. Do you ask a lot of questions? This, as I’ve learned, makes your talker’s storyline all about you when you’re interrupting to find out what you want to know, rather than allowing them to guide the narrative. Silence is powerful. Being a counsellor or therapist is all about relationships. First and foremost is the relationship with oneself. The meditation movement and increasing number of yoga studios popping up is a positive shift towards valuing time to connect with oneself. This first year of study is largely about being fully conscious of our own behaviours, how we see the world, why we have the lens we do, and how our behaviour impacts the self and relationships with those around us. Perhaps counter-intuitive to the business of marketing and sales, therapy is one profession where the ‘customer is always wrong’ (a therapist joke). There are a number of reasons I’ve decided to add this skillset and practice to my business, which I’ll explore in a future post. One of the main reasons is, in thinking about my own personal core values and purpose, something I ask my clients to do, health is something I’ve always valued in all its forms – physical, mental, emotional, spiritual, financial, business, relationships. As I continue to help others from a business perspective I also want to offer them support for their own wellbeing and sense of being well. Better communication for better relationships is the business I’ve always been in, but my new qualification allows me to explore these at a deeper, more personal level. I’ll share new thoughts and learnings from my course as they apply to the work I do now, and how it will influence who I am and the work I do in the future. I’m not just referring to work as my profession, rather the work I do on myself and with others to gain a better quality of life through better relationships, with the self and with others.